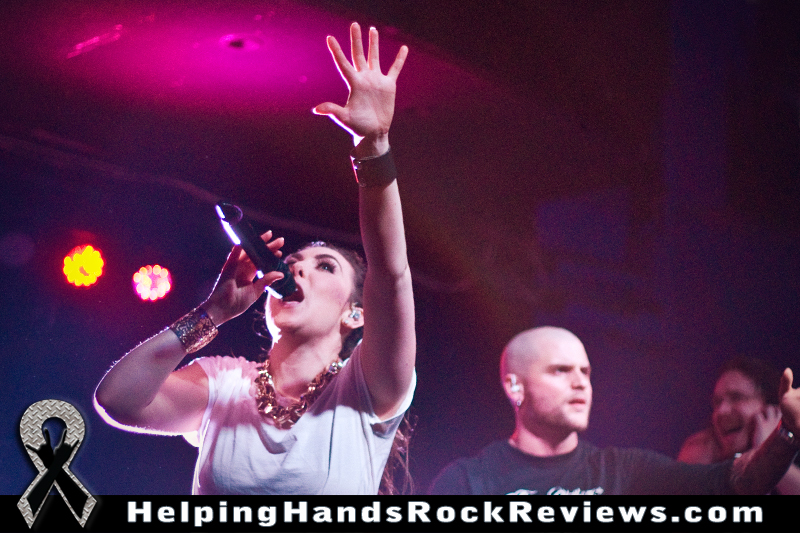 In many ways, headliner Amaranthe and direct support act Butcher Babies are opposites. Amaranthe lights up the stage with a European sweetness. 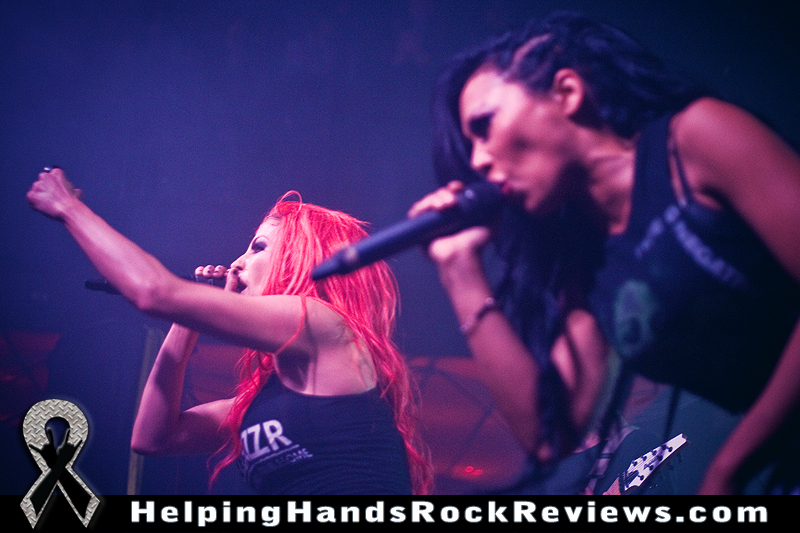 Butcher Babies pound the stage with a brutal disposition unmatched in all but the most violent of American streets. Amaranthe weaves in plenty of electronic tracks that - if it weren't for distorted guitars and the occasional growl - give their music an almost dance-club feel. Butcher Babies bleed the heaviest of metal as if the genre was invented for them alone. But, when these two currently-hot acts are put on the same bill as they were at Pittsburgh's Altar Bar on Tuesday, audiences are treated to a night of music that runs the gauntlet of metal. The only way to describe Butcher Babies' set is in-freakin'-sane. Vocalists Carla Harvey and Heidi Shepherd are nothing short of metal superheros, growling with the sharpest of tones while windmilling, jumping, and flying across the stage in ways that seem humanly impossible. The energy they concocted in the room during songs like opener "Monster Ball" and their cover of "They're Coming To Take Me Away" seemed like enough to lift the repurposed church right off of its foundation and send it flying into the midwest. Fans would have gotten their money's worth from Butcher Babies' set alone. 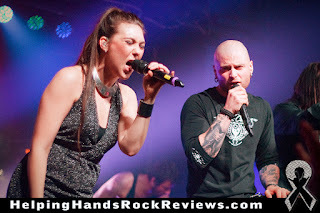 But they were in for double their pleasure when Amaranthe arrived to drip the molten metal icing on the musical cake. 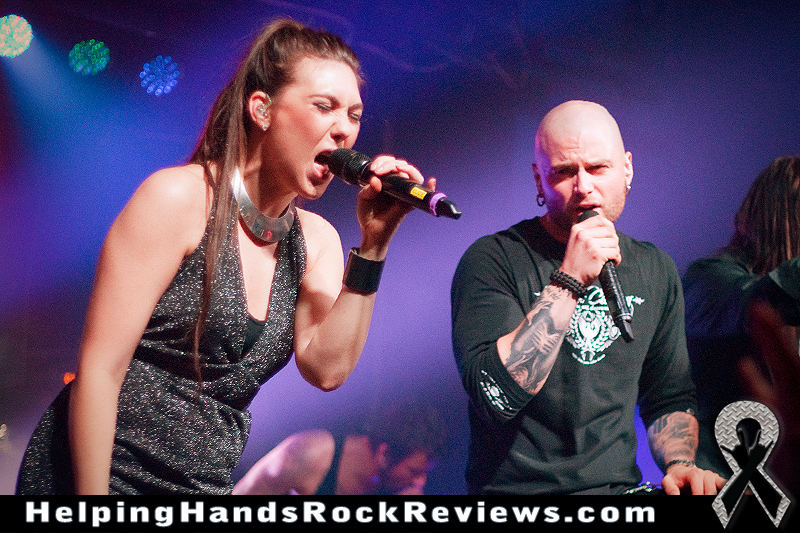 "Digital World" was the perfect opener, as it showcased all that Amaranthe is about: vocals provided by three different types of singers, heavy guitars, and an electronic audio pulse that tells the world that the future of metal has arrived. Speaking of singers, it was a bit of a surprise to many that founder Jake E. Lundberg was not on stage to fill the role of non-growling-male-vocalist. Those duties were being handled by Smash Into Pieces' Chris Adam, who is filling in for Lundberg while the original male voice is on paternity leave. Adam showcased his talent quite well in this, his first performance on a US stage, and was immediately embraced by the crowd. 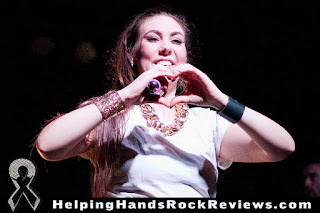 To the delight of that crowd, Amaranthe represented its catalog quite comprehensively, including first-album favorites like "1.000.000 Lightyears" as well as plenty of tunes from its most recent release like title track "Massive Addictive" and latest single "True." But the best was saved for last with Amaranthe's four-song encore. "The Nexus" kicked off this mini-second-set for the band before transitioning into "Razorblade." And "Dynamite" was, well, dynamite thanks to Elize Ryd's incredible vocals. Despite the 90-minute set, her voice didn't show one bit of wear as she hit her highest notes of the night with precision, intensity, and the beautiful clarity that defines her style. And the band's new anthem, "Drop Dead Cynical," brought the amazing night of music to a glorious and satisfying end. Incredibly, after five bands on a Tuesday night (Lullwater, Leeja Stark, and BlackThorne also delivered great performances) and despite the seeming contrast between Butcher Babies' limb-ripping set and Amaranthe's smile-inducing performance, Altar Bar was still packed with metalheads til the very end, proving that there is indeed unity in the metal community. Amaranthe and Butcher Babies may be like night and day to the analytical metal connoisseur. But to this Pittsburgh crowd, they were simply two fraternal twins in the same awesome brother/sisterhood.